At Families First Health Center, we believe in treating the whole person. That’s why we offer behavioral health services to complement medical care for our patients. Please note, our Intensive Outpatient Program (IOP) is open to everyone (not just our established patients). Counselors help patients manage health conditions including anxiety, depression, substance misuse, diabetes and other chronic illnesses. They also support patients in making changes such as improving diet and exercise habits or reducing substance misuse. Your primary-care provider at Families First can refer you to a counselor. 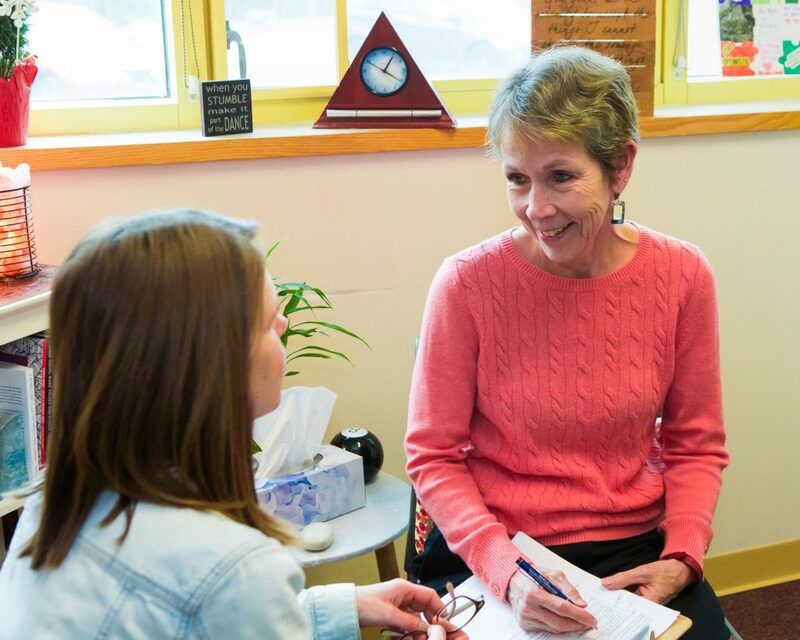 A Psychiatric Nurse Practitioner gives Families First patients more access to treatment for mental health conditions than can be found at most primary-care practices. Medication Assisted Recovery for addiction (also known as Medication Assisted Treatment). We use Suboxone and Vivitrol to reduce withdrawal symptoms and cravings, while patients make the behavioral and environmental changes necessary to achieve their short- and long-term goals. To help with those other changes, Families First requires patients to obtain group and/or individual counseling and also offers other medications, acupuncture, stress-reduction classes, care coordination, referrals to further treatment and community resources, parenting classes, home visiting, and help managing chronic illnesses. Phase I (eight weeks): Group therapy on Mondays, Tuesdays and Fridays 1-4 p.m. The IOP is open to anyone; you don’t need to be a primary-care patient at Families First. We accept most insurance and offer a sliding fee scale for people who are uninsured. Free child care is provided during the program (advance signup needed). To find out if Families First’s IOP is right for you, contact Karen Frarie at (603) 422-8208 ext. 321. What is the purpose of Recovery Group? The recovery group at Families First is a group aimed at helping individuals with substance use disorders to achieve their goals. The group provides participants with the opportunity to support each other in recovery. Additionally, the group teaches participants relapse prevention skills and provides them with a safe place to discuss the challenges of recovery. How is this group different from 12 step groups like AA/NA/HA? Many of the participants in the group also attend 12-step groups or SMART recovery meetings. Recovery Group is facilitated by a licensed alcohol and drug counselor (LADC) and offers evidence-based treatment for substance use disorders. While peer support is a major component of the group, professional support is also offered. Who is Recovery Group right for? The group is open to any Families First Health Center patients who are living with a substance use disorder. Many people, regardless of their length of abstinence, could benefit from new skills and support from peers. If you have health insurance, we will bill your insurance for the cost of your participation in the group. If you are uninsured, we will ask you to pay a small fee based on your income. If you are interested, please just come to group. There is no need to sign up ahead of time. Questions? Contact Ben at (603) 422-8208, ext. 328. Families First’s Suboxone program has saved my life. It has saved a family from a lifetime of shame and hopelessness. They care about me as a person, they remind me that I am human. My two kids have never been so happy. I have reconnected with them. My other half is in this program as well. My kids now have both — not one, but both, parents back. If there was no Families First, my kids might have no parents right now.